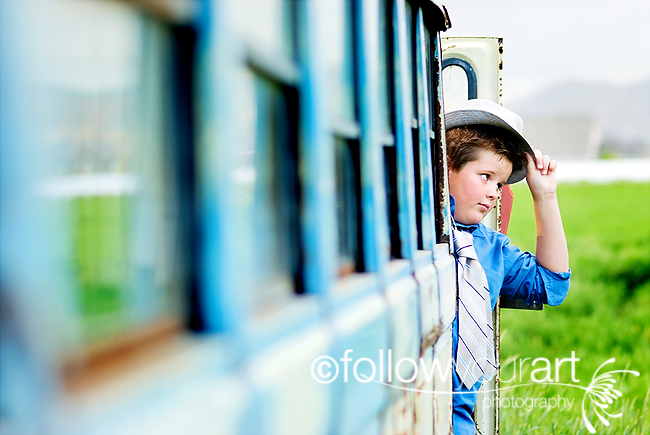 Follow Your Art Photography, Utah Baby, Child, Senior, Family Photography, photographer: Cool kid on a cool bus! 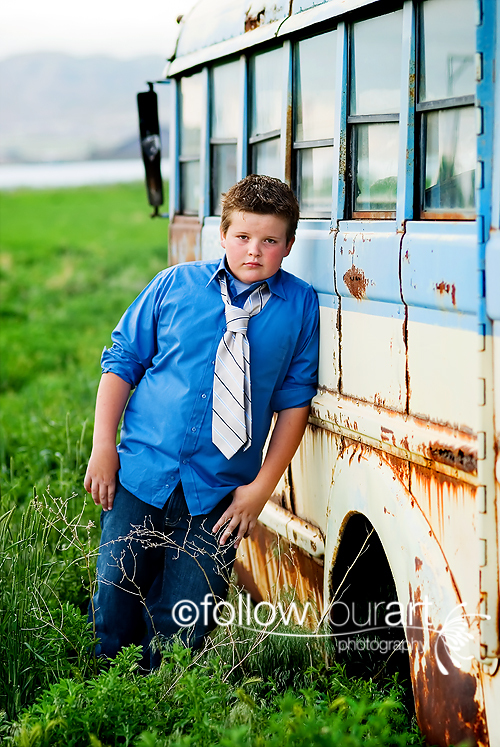 Cool kid on a cool bus! I had to cancel a session tonight due to bad weather. 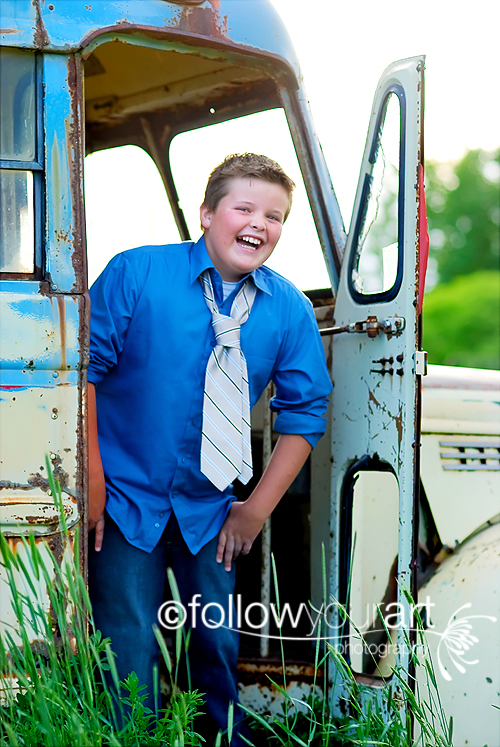 My newphew is in town visiting and I have been wanting to get some pics of him because he's so dang cute! The weather took a turn for the better so we headed out to get a few. He's a fantastic actor and is going to pro scouts this summer to try to get another agent. He needs some head and body shots so we went out to practice. 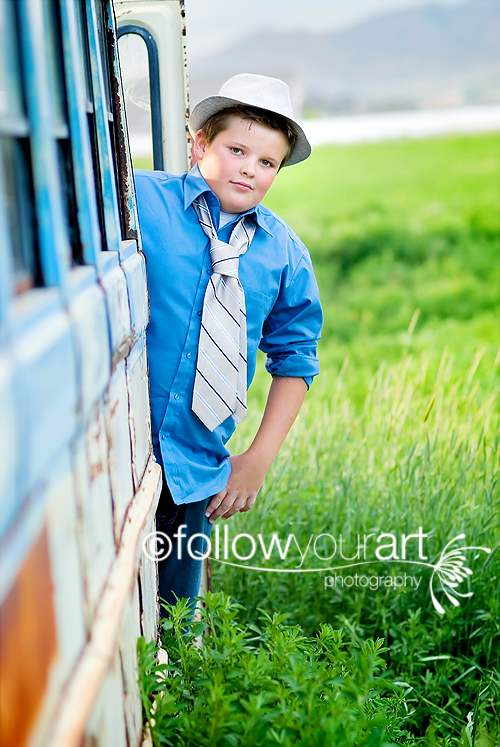 I have been dying to get some pics by the great old bus just sitting out in this perfect alfalfa field. We got lucky and had about 20 mintues of good light. Here are a few of the bunch. Thanks buddy, I had so much fun with you!! Wow! Those are all wonderful! geez you really have a great eye for locations! Oh....these are just so great! I think I have seen that place before! He is such a cute kid! Lighting is fab! Way to go! GORGEOUS!! I LOVE them and the lighting is just perfect!! Where do you find places like this? I am becoming desperate to find places like this, and am not having any luck! ARGH! Anyway, they are gorgeous!! I already commented on these on BBC, but I'll say it again...You rock! !